Working with Power BI ( Datasets) generates data in Power BI. Depending on the license version , different storage spaces are available. 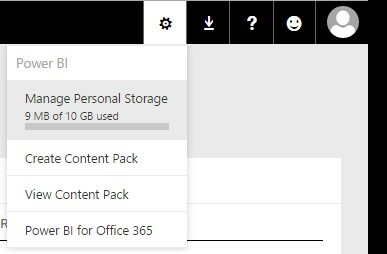 To view the available storage space click on [Settings] -> Manage Personal Storage. Here we will get an overview of the current storage space that are being consumed by the logged on account. 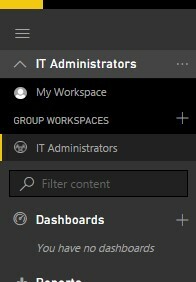 The Owned by me tab shows all the datasets that I have uploaded to Power BI. Owned By Others will show all datasets that have been shared by others. The total of this will be amount storage space used. 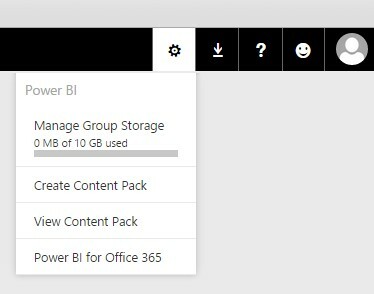 By selecting another group in Power BI, the storage space usage for the group can be viewed.